The annual week-long Burning Man event in the Black Rock Desert in Nevada is the stuff of legend. Some call it the world’s most incredible festival. This extraordinary experiment in community, radical self expression and radical self reliance, began around a bonfire on San Francisco’s Baker Beach at summer solstice in 1986 – now Burning Man has become a magnet for more than 50,000 people each year. This weekend I will be one of the lucky few hundred making the six hour drive West from Sydney or North from Melbourne to the Matong State Forest near Wagga Wagga in Southern New South Wales, to come together to celebrate Burning Man Australia. This will be Australia’s second regional Burning Man – built around the same 10 Principles as those made iconic by its big brother in Nevada. 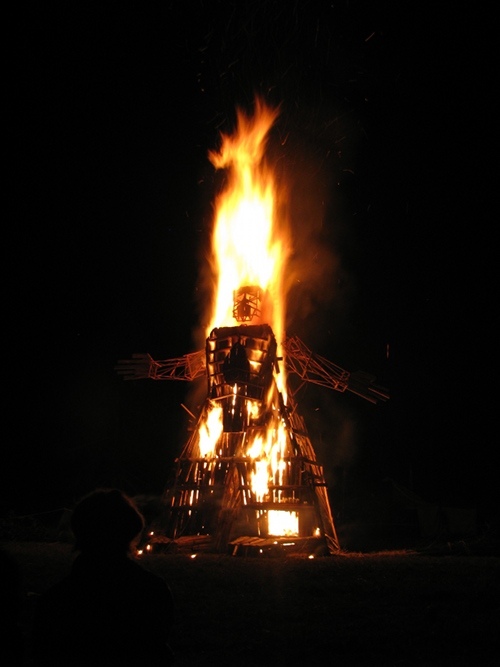 Burn participants, myself included, have agreed to abide by the 10 Principles for the duration of the five day event, which reaches its high point on Saturday night with the immolation of a 20 foot high Wicker Man, reminiscent of the movie of the same name. I have done my research; I have been regularly and helpfully informed by the organisers of this seminal event, in its infancy here in Australia but with a long, successful and sustainable track record in the United States. Problem is I still have no real idea what I’m in for – along with the 1500 or so other people expected to attend. Burning Man offers a framework, just loose boundaries; it’s up to those who travel to live in this temporary community to fill the gaps with their creativity, humanity and with an open mind. ‘If you can’t make art, be art’ reads the website promoting the event and providing all the necessary information to survive it. I’ll be offline during the event, regrettably, but (if I do survive it) keep an eye open for pics and posts next week! I look forward to the reports from the ground! Hey Sam, thanks for stopping by – yeah, I met a lot of people at the Australia burn who’d been to the Nevada event – they all said it was a life changing experience, many of them had been a number of times. I think what’s so different about it is it’s not really a festival vibe as many imagine – it’s more a chance to live differently, even for a short time. Everyone is ridiculously nice and friendly, I guess due to the fact we all sign up to the 10 principles. Toughest part is trying to live that out in the ‘real’ world… maybe see you at the Aussie burn next year – cheers!